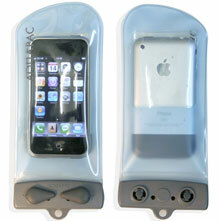 Visit Aquapac's Mini Stormproof Phone Case page. 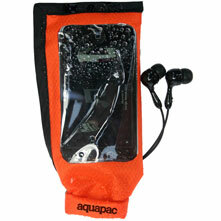 The Aquapac mini phone/GPS case is perfect for today's small electronic gadgets. Take it to the beach or out on the water. 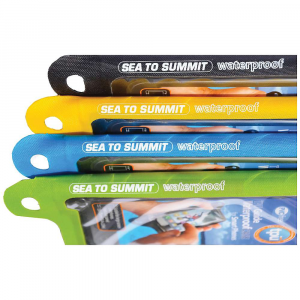 Aquapac is dustproof and submersible up to 15 ft.Use the phone normally - sound and signal pass right through the tough, flexible material that lets you use your iPhone or iPhone Touch.Floats safely if dropped in the water. Foam-padded back for extra protection and comfort. 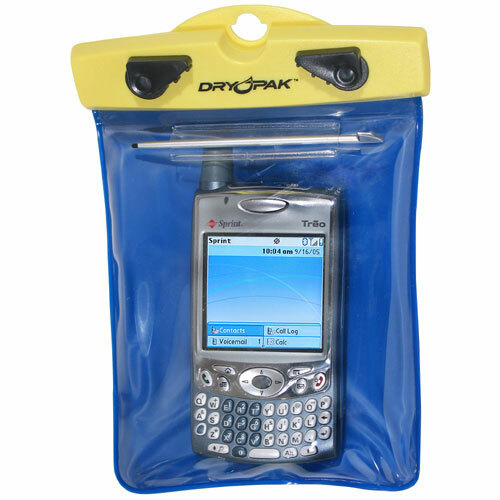 Will hold a phone or GPS 5" in length and 6" in circumference.All Aquapac waterproof cases are PVC-Free! 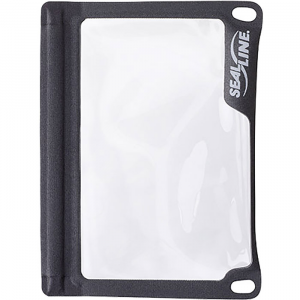 Now made from Polyurethane (PU) - 100% recyclable, thinner, stays flexible when it's cold, easier to operate equipment inside the cases. 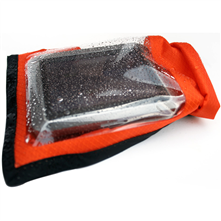 We've all dropped a call or lost our way, just make sure that when you're out on the water a drop doesn't spell disaster - Aquapac's Mini Cell Phone and GPS Case protects your small phone or navigation unit from dust, dirt, and even water - guaranteed waterproof up to 15 feet, you can even make calls and take pictures without taking it out of the case. 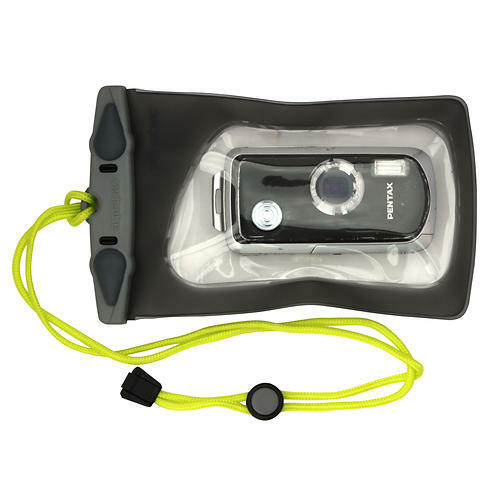 The Aquapac Mini Stormproof Phone Case is not available from the stores we monitor. It was last seen October 16, 2017	at SunnySports.